Place meat and marinade ingredients in a zip top bag and refrigerate for 6 to 8 hours. Heat grill to medium high heat (approximately 400 degrees F.) and grill 5-7 minutes per side (or until 130 degrees F on an instant-read thermometer) for medium rare. Remove from grill and allow the steak to rest for 10 minutes. Allow to sit for 15 minutes, stirring occasionally. Once the steak has rested, cut across the grain into even slices. 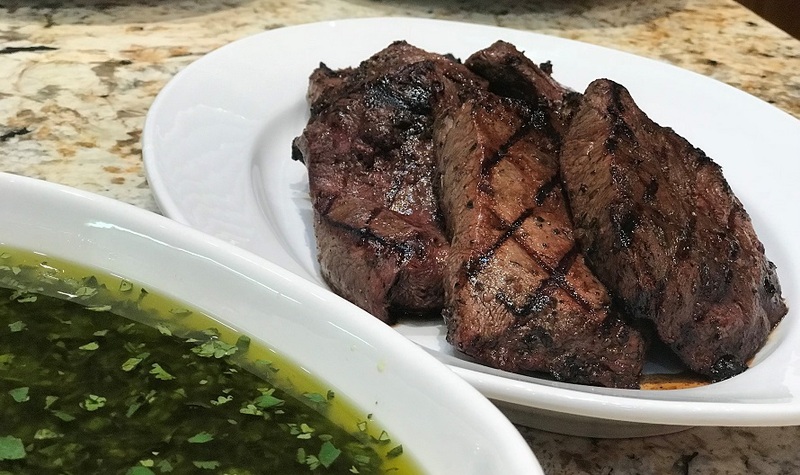 Top with the Chimichurri sauce and serve immediately with your preferred salad and side, such as roasted vegetables or rice. Enjoy with our Napa Valley Cabernet Sauvignon.